We are Chelsea's number one for blocked drains, drain clearance, surveys & drain repairs in SW3. Call our office in SW London on 020 8168 9981 for a FREE quote. We are open 365 days a year. Do you have problems with blocked drains in Chelsea? 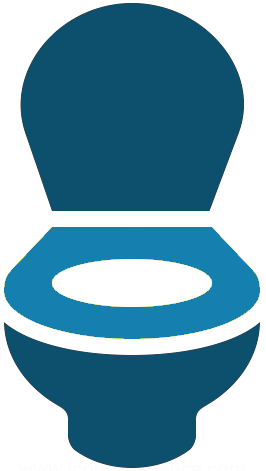 Whether it is a blocked toilet, root ingress or a collapsed drain, our drain engineers in Chelsea or Belgravia can find the cause of the problem and offer you the most cost-effective solution. If you need a FREE quote or advice about blocked drains, a cctv survey, drain repair or any drain related issue in Chelsea SW3, call 020 8168 9981 or email info@draindetectives.co.uk. What drainage services do we offer in the Chelsea area? Unblocking drains for commercial and domestic customers in the Chelsea SW3 area, 24 hours a day, 365 days a year. CCTV surveys to detect drain problems or build over or pre-purchase surveys for home buyers in Chelsea, SW3 or SW10. Cracked or broken drains in Chelsea? We do no-dig drain repairs such as patches and lining or drain excavation. 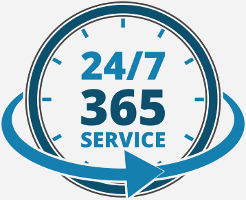 If you need a 24 hr emergency plumber in Chelsea to unblock toilets, showers, baths and sinks, then we can help. Liquid waste removal or cesspit and septic tank emptying for householders and commercial premises in Chelsea. Sometimes you need to know the exact location and depth of your drain. We use our sonde transmitter and receiver. Do you have a blocked toilet in Chelsea SW3? If you are looking for an emergency plumber in the Chelsea area of South West London to clear a blocked toilet, shower, sink or bath, then Drain Detectives can definitely help. You really need a specialist drainage company to clear any blockages, as a Chelsea plumber may not have the necessary equipment such as a high-pressure water jetter. What plumbing jobs do we do carry out in Chelsea, Knightsbridge or Belgravia? We can send an emergency plumber to clear a blocked toilet at your home in Chelsea, 24 hrs a day, 365 days a year. Call 020 8168 9981 or email info@draindetectives.co.uk. What if you have a blocked drain in Chelsea at the weekend? Our drainage engineers will come out in the evenings, weekends and bank holidays to unblock drains in the Chelsea, Knightsbridge, Belgravia, SW3 and SW10 area. We understand that drain emergencies often happen at the most inconvenient times. Call us today. What areas of Chelsea do we come out to clear blocked drains or toilets? Our local engineers can assist with blocked drains, drain repairs and blocked toilets in the Chelsea area of South West London including Belgravia, Knightsbridge, Sloane Square, Pimlico, Fulham, South Kensington, Earls Court, Victoria, Westminster, SW3, SW5 and SW10. 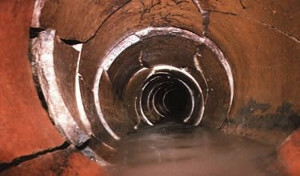 Why use Drain Detectives for your blocked drains in Chelsea? Someone will always answer the phone, so whatever your drainage emergency, our local Chelsea drain engineers can come to your rescue. We are pleased to offer Chelsea customers a one month guarantee on drainage work when we have cleared blocked drains in SW3. Drain Detectives aim to give the best value for money price for unblocking drains in the Chelsea area, with fixed prices offered where possible. Not sure where to start? Call our Chelsea office and an experienced engineer will advise you on the best way to tackle your drainage issues. Whether you have a blocked drain in the garden of your terraced house or need a survey for a block of flats in Chelsea or Belgravia, we can help. We are proud to be members of checkatrade. We ask customers in SW3 and SW10 to leave reviews when we have unblocked a drain. What if you need drain repairs in Chelsea? If you find out that you have cracked, broken or collapsed drains, you will need to get the repairs done quickly. Broken drains can lead to unpleasant smells, rat infestation and even subsidence to your Chelsea property. Drain repairs need not be expensive. We use trenchless no-dig technology to repair cracked and broken drains wherever possible. We can use patches or drain lining without the need for costly excavation. For FREE advice about drain repairs, call 020 8168 9981 or email our Chelsea office. Looking for a cctv drain survey in Chelsea? If you are a Chelsea homebuyer who needs a pre-purchase drain survey or you need a survey to investigate subsidence, rat problems or unpleasant odours, we can help. We provide a full insurance backed report for commercial or domestic customers. For those in a hurry, we offer a quick look survey which is cheaper, but without the report. If you have blocked drains, need drain clearance or drain repairs, you have come to the right place. Call our office in Chelsea on 020 8168 9981 today for expert advice and a FREE no-obligation quote!